Join Scouts in Wisdom Trail District! I’m a new Cub leader, or parent – what now? This is requisitioned, completely, from the September-October 2012 issue of Scouting magazine. WELCOME TO SCOUTING! 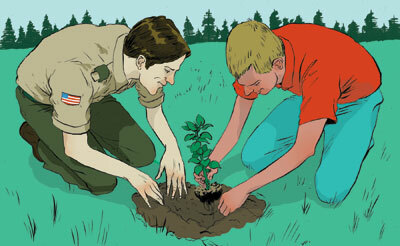 You’re joining a force of volunteers a million strong, some who started in Scouting before you were born (see tip No. 38). Yet you may be uniquely qualified to have a powerfully positive impact on the young people in your unit (see tip No. 43). No pressure, huh? We at Scouting magazine have been where you are, and we understand just how intimidating the job can be. So we created this handy guide to help you through the first months of your Scouting career. Half of the tips below stem from our own experience; the other half come from Scouters across the country who responded to survey questions on our Facebook page (see tip No. 20). We appreciate their input and look forward to the day that you, too, start sharing your wisdom with Scouting’s next crop of rookie leaders. But, we also realize that our readers have plenty of additional advice to share, too. That’s why we ask that—if you see something we’ve missed—post your own suggestions for new leaders below. When you’re done studying the new-leader tips below, make sure you test your new knowledge by taking the “Are You Ready to Lead” quiz. 1. Add to Bookmarks. 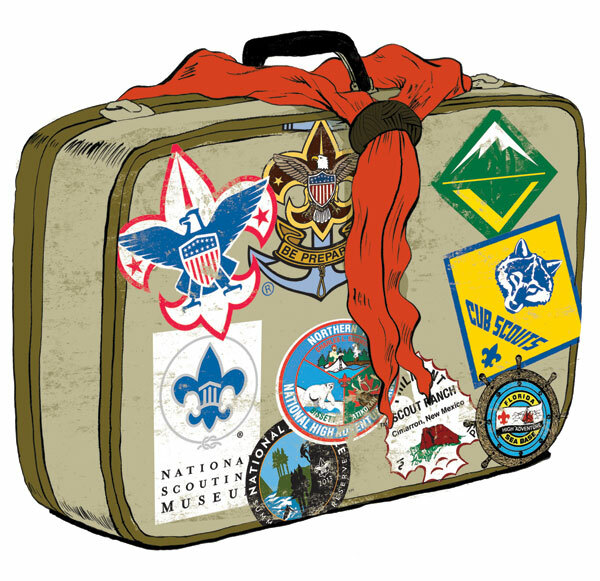 MyScouting (myscouting.org) is the entry point on the BSA Web site for all sorts of Web-based activities, including training, Internet advancement, and registration for national events. Signing up is simple, and there’s a tutorial if you get stuck. As soon as possible, add your member ID to your profile so you get credit for online training. 2. Become an Alum. Even if you’re new, you qualify for the BSA Alumni program (bsaalumni.org). Why sign up? Four words: free bugle-call ringtones. 4. Training Basics. Every Scout deserves a trained leader, and every leader deserves to be trained. The basic-training sequence has four phases: Fast Start, Youth Protection (the required child-abuse prevention and detection course), This Is Scouting (an overview of the Scouting program), and position-specific training. Learn more, including which courses are available online, at bit.ly/BSAtraining. Remember, you must complete Youth Protection training before you can register as a leader. 5. You are Here. As a volunteer, you can earn all sorts of awards, most of which are represented by those knots you see on veteran leaders’ uniforms. Find out which awards are available for your position and start tracking your progress. Learn about all the knots by visiting bit.ly/knowyourknots. 6. Know Then Sew. When you’re properly uniformed, you set an example for your Scouts and have a place to display the awards you receive (patches aren’t just for the boys). Yes, uniforms can be expensive, but many packs, troops, and crews have closets of “experienced” uniforms that you may use. Before you start sewing on patches, grab a uniform inspection sheet from bit.ly/uniforminspection and get things in the right place the first time. Don’t like to sew? Try Badge Magic (bit.ly/badgemagickit). 7. Get to Know Your Scouts … You’ll be spending lots of time with them, so find out where they go to school, what they like and dislike, and how you can best contact them (phone, e-mail, Facebook, etc.). 8. … and their Parents. What are their hobbies and talents? Who can haul the boys to camp? Any Eagle Scouts in the group? Give every parent a little job and your job won’t seem so big. 9. Then Check Out ScoutParents. Speaking of parents, surf over to scoutparents.org for extensive information on how Scouting benefits parents and families, not just kids. There’s even a free e-book about the subject on the site. 10. Nights at the Roundtable. Here’s where you’ll find a bunch of Scouters who’ve been in your shoes and are eager to help you be successful. Some of the best discussions happen after the closing, so plan to stay late. Check with your unit leader or council office for dates and locations. 11. Sites for Your Eyes. Another great source for Scouting information is the Internet. You can find Scouting magazine online at scoutingmagazine.org. Ask people in your unit or district for their favorite online discussion groups, blogs, and podcasts. And be sure to bookmark Scouting’s blog: blog.scoutingmagazine.org. 13. Get a Life—or snag your son’s copy when he’s not looking. Boys’ Life magazine content aligns with pack and troop programs, and the jokes are always good for a laugh. For a quick game, create a scavenger hunt where boys look for specific words or pictures in the current issue. Learn more about BL at boyslife.org. 14. Meet and Greet: STEP 1. Seek out your chartered organization representative, the volunteer who oversees Scouting at your chartered organization (the school, community group, or religious institution that sponsors your unit). Ask how Scouting supports the organization’s mission and what your unit can do to help. This is especially important if you’re the unit leader or committee chair. 15. Meet and Greet: STEP 2. Seek out your district executive and unit commissioner. The DE is the professional Scouter who oversees Scouting in your community; the commissioner is an experienced volunteer charged with supporting your unit. Their goal is to make your unit successful, and they have access to lots of useful resources. 16. Meet and Greet: STEP 3. Find a mentor in your district who holds the same position as you. Meet for coffee to discuss any challenges you’re facing, then visit one of your mentor’s meetings to see him or her in action. 17. Get to Philmont—Pronto! Philmont Scout Ranch near Cimarron, N.M., is the world’s largest youth camping facility. It’s also the BSA’s national volunteer training center. Every summer, the Philmont Training Center offers dozens of weeklong conferences for Scouters of all experience levels. Best of all, your spouse and children can participate in great family programs while you’re in class. Details at philmontscoutranch.org/ptc.aspx. 18. KISMIF? OMG! Quick! What do the following acronyms and initialisms mean? 19. On the Map. Have you visited Beascout.org? This spiffy new unit locator uses Google Maps to help prospective Scouts find you. The BSA’s Beascout.org is so new that many veterans don’t know about it. Introduce your unit to it, and you’ll no longer be the newbie. 20. Do You Like Us? You are on Facebook, aren’t you? Then “like” the pages for the BSA and Scouting and Boys’ Life magazines. When you do, you’ll get the latest Scouting news. Find us at facebook.com/scoutingmagazine. 21. Find Direction. What do you want to accomplish this year or before you leave Scouting? (Which we hope won’t be this year.) Write down your goals and paste them in your leader book to help you stay on track. 23. Reach the Summit. The Summit Bechtel Reserve in West Virginia promises a world of excitement for older Scouts and Venturers. You can’t visit until next summer, but the Web site is open for business now: summit.scouting.org. 24. Start Your Journey. Journey to Excellence is the BSA’s performance recognition program for units, districts, and councils. JTE, which replaces the Quality Unit program, measures advancement, activities, leader training, and more. Visit bit.ly/BSAjourneytoexcellence to learn about the specific goals for your type of unit. Then ask your unit leader about your unit’s progress toward Bronze, Silver, or Gold recognition. 25. Meet a Founder. 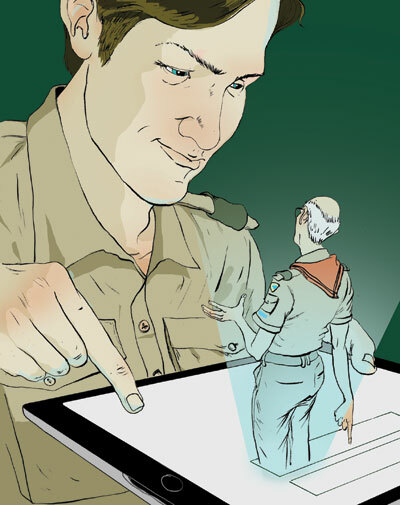 Scouting’s founder, Robert Baden-Powell, died in 1941, but his spirit is alive and well today. You can read many of his books, including Scouting for Boys (the first Boy Scout handbook), at bit.ly/bpowell. WHAT WAS THE BEST ADVICE YOU RECEIVED AS A NEW LEADER? Think you’re ready to lead? Take this quiz to test your knowledge!